« Why All The Hate For AJ Foyt? I know many of you will think I should write about this weekend’s Rolex 24. While there will be several IndyCar drivers in the field, I’m not as knowledgeable about IMSA as many of you are. I will enjoy watching it tomorrow and Sunday, but it’s not in my comfort zone to write much about it. Besides, I wrote about it one or two years ago and most of you seemed bored with my musings on it. Instead, I’ll submit a rant on something I usually don’t complain about too much – the fan experience at the Indianapolis 500. The announcements that are starting to trickle out from 16th and Georgetown are always a rite of passage for the winter. It’s a sign that spring can’t be too far off when you start hearing the buzz about things related to the Indianapolis 500. If you listened to Trackside the other night, you heard Curt Cavin and Kevin Lee discussing the calendar for the upcoming Month of May. Normally that would make me beam so much that our snow would melt away. OK, that was a little over the top. Our snow was last week. Today our temperature in Nashville is supposed to reach a balmy 62° under sunny skies. That’s not bad for the last weekend in January. It’s a good thing the weather is warm, because some of the news left me sort of cold. First of all, there is the topic of what has become my traditional annual rant about no track activity on the Sunday following the IndyCar Grand Prix to be run on Saturday May 12. The first year they held the Grand Prix in 2014, the grounds crew worked overnight and had the track ready for oval practice that Sunday morning, which served as Opening Day for the Indianapolis 500. It made for a great weekend for those of us that had traveled for the Grand Prix. We were able to watch two full days of the Mazda Road to Indy and the IndyCars on track for practically every second over a two-day span. 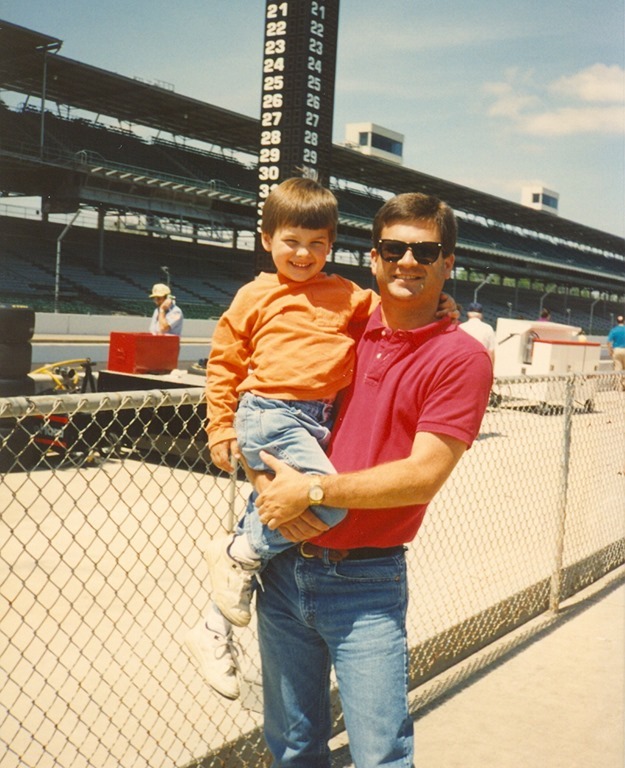 Then it was capped off Sunday with the first day of practice for the Indianapolis 500. In 2015, the folks at IMS decided that it was too taxing on the grounds crew to convert to the oval overnight, so there would be no track activity until Monday. It also happened to be Mother’s Day for a couple of those years. As someone who had burned a vacation day on Friday in order to travel, I was disappointed that my favorite part of the weekend had been moved to Monday. The same scenario repeated itself the next two years. With the IndyCar portion of the Grand Prix not starting until late afternoon on Saturday; driving home after the race was out of the question. It made for a very dull Sunday. I was hoping against hope that the Sunday practice day would be reinstated for 2018. Instead they’ve gone the other direction. This year, the Grand Prix will still be run on Saturday, but there will be no track activity the following Sunday or Monday. That’s right, Opening Day for the Indianapolis 500 starts on an anti-climactic Tuesday, guaranteeing that only a handful of local fans will be present. In 1994, my (then) wife and I took our young kids up for Opening Day. It was originally scheduled for Saturday May 7, but was rained out. That Sunday, the place was packed. The only stands open were the old Tower Terrace behind the pits – but I would say they were more than 80% full with fans eager to get their first glimpse of Indy cars for the year. The Penske cars were running the super-quiet and ultra-powerful pushrod Mercedes and were sporting an extended cowling. We also got to see the car of Michael Greenfield, who was trying his own homebuilt version of a pushrod engine, take a few laps. He and fifteen other drivers took practice laps in a total of eighteen cars that did not qualify. After the track closed at 6:00, we piled the kids into the car and drove home. It was an exhausting weekend. My son was four at the time. 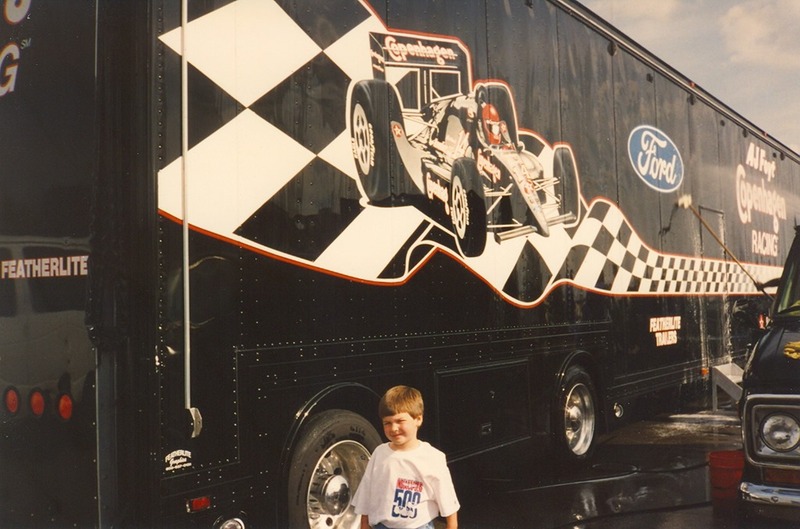 Trey is now twenty-eight and not much of a race fan at all. But he still has vivid memories of that weekend and still talks about it to this day. 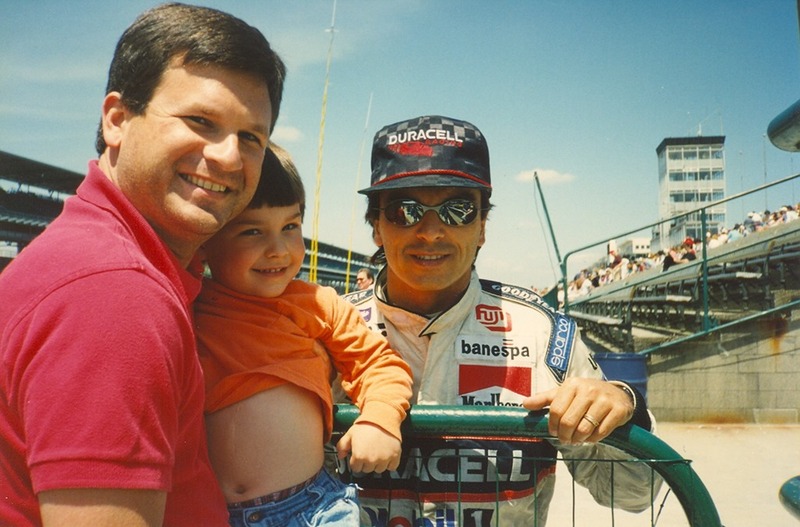 He got to meet Raul Boesel and Scott Sharp; and he and I will always cherish those memories. But now, Opening Day for the “500” is on Tuesday – and part of that is taken up with Rookie Orientation. Assuming there is no rain-out for any practice day – the drivers will have full practice days on Wednesday and Thursday only before Fast Friday and then qualifying on Saturday. I would think with a completely new aero package on this year’s car – they would want to increase practice time, not lop more off. Fans are lamenting that practice and qualifying for the Indianapolis 500 is no longer a big deal. But how can it become a big deal if Opening Day is relegated to a Tuesday? How many of today’s fans became fans by having their parents take them to practice as kids? My son ultimately never became a fan, but many others his age and younger have. The thing is, most young parents either don’t want to spend money on a race ticket for a kid that may be miserable during the race or they just flat-out can’t afford it. Other parents don’t want to expose their kids to the rowdiness of a Race Day crowd. 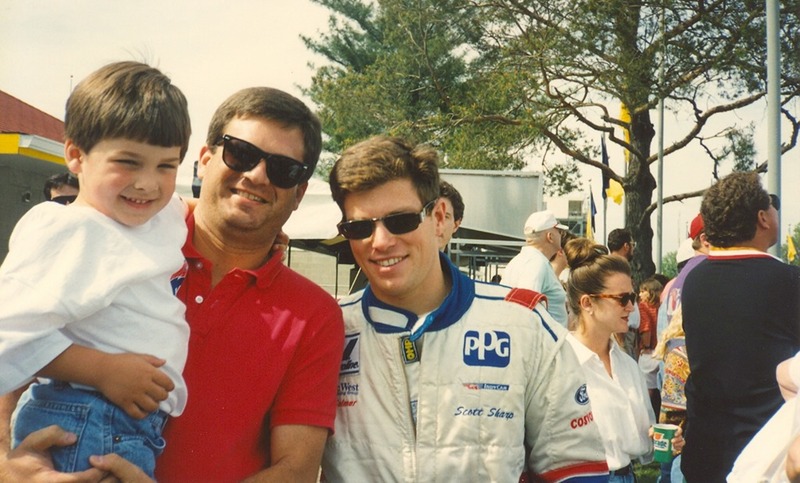 But they would be willing to take the entire family to the track on a practice day – that isn’t during the week. But it gets worse. I was real excited when Curt Cavin slipped into the conversation that there would be an open test at IMS on March 27 that fans can come out and watch. I immediately thought “That would make a fun weekend trip”. While he was still talking about it, I pulled up my calendar, only to find out that March 27 is on…a Tuesday. I tweeted Kevin Lee during the show asking why IMS couldn’t do the test on Saturday March 24, so that out-of-town fans could come watch. Kevin read the tweet to Curt over the air. Curt seemed to shrug as he simply said “I can’t answer that”. I think Doug Boles is a brilliant man. He is an innovator. 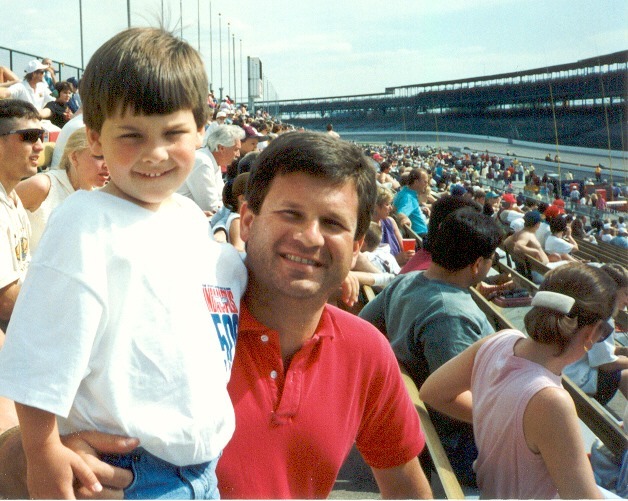 He has poured his heart and soul into the Indianapolis Motor Speedway since taking over as President in 2013. He is as fan-friendly as any executive in sports today. Why? Because before he was an executive, he was a part-owner (Panther) and prior to that, he was a fan. He gets it as much as the most hard-core fan gets it. That’s why I know there must be a good reason why they aren’t running this test before fans on Saturday. Maybe he had nothing at all to do with this decision. Keep in mind, this is after the season starts on March 11 at St. Petersburg. The next race will be at Phoenix on April 7. That would put that test right at the halfway mark between those two races. Maybe Mark Miles or Jay Frye made this call from the IndyCar side of the street. There must be a good reason why they chose the date that they did. IndyCar and IMS both have a pretty good recent history of making decisions with the fans in mind. They listen to fans, much more so than other sports do. But if they just pulled Tuesday March 27 out of the air and thought that seemed like a good date, they weren’t thinking of the fans. Since the date has already gone out to the teams, there is probably no hope of getting it moved to a more fan-friendly date this year. But I hope in future years, that the decision makers keep the working class fans in mind when setting their calendars. We are the ones paying a lot of the bills and that makes up the core of their fan base. This entry was posted on January 26, 2018 at 4:04 am and is filed under IndyCar. You can follow any responses to this entry through the RSS 2.0 feed. You can leave a response, or trackback from your own site. George, everything out there now is about making money. The practice is on a Tuesday precisely because it’s a weekday; not many fans will be there, and no Yellow Shirts will have to be there and get paid, it’s real simple. Just like my new $9 SERVICE CHARGE on my Bronze Badge because I didn’t buy it before January 1. Since when? Since this year. That’s why there’s one less day for practice: less cost to The Track. They’ve become money-grubbing fools out there and someday it’s gonna take its toll. Phil a bit of reference material to back up your position. “I gotta be honest. My first impression is that this is just another greedy money grab by IMS. They also removed one practice day. The only thing a silver really gets you over a bronze is access to the pits behind the wall on most days. The biggest problem with opening up such access even more involves the glut of people who already mill about down there, who are completely oblivious to almost everything around them, including crews trying to actually work. Many are corporate visitor types with one-day access, but most of the people down there are just in the way. I like it for photo ops and such, but I am in a minority who actually respects those actually working down there and pays attention to my surroundings. I went to several opening days of practice before the Grand Prix began. It was always a good time and you could just relax and watch the cars. My kids really enjoyed that day and it was one of the best days to take kids. In a sense it seems like the continued de-emphasis of Indy in the month of May. Indy meaning the Indy 500. I’m just surprised the George family is falling for it. Maybe greed is the reason. The only way to really fix this is to move the Grand Prix, which I still think would be a positive move. It seems so minor league to have it right before the 500, kind of like a filler event in the month of May. I ordered my Grand Prix tickets before the end of December but forgot to buy the infield parking pass. Apparently I’ll be stuck with that $9 service charge when I actually go back and buy it. Thanks IMS. One thing that years ago attracted me to IMS was that it was the best value in sports. Is that ever long gone. Iam sorry to say, as others have its all about money. It saves monet for the track and saves money for teams. They really should give up the month of may. It no one applys. I’ve been going to the speedway since 1960, and used to be there for most of the month. Last few years I go for fast Friday and that weekend,and carb day. Then race weekend. I also have pit and garage access, but it’s getting to the point where it’s not worth the cost. But my love for the speedway draws me ever may. Well said. My 1st year was 1960 also. Just another money grab is charging for handicapped parking. They charge for the Grand Prix, Carb Day and Race Day. $25 for GP and Carb Days, $40 on race day, and get this, the placard does not guarantee a spot. So I leave home at 4:15am on race day to get into gates opening in North 40 to guarantee myself a handicapped spot. Also I have noticed a change in attitude with Cavin since becoming a part of management, just my view but curious if anyone else felt that way. His answers to Kevin sometimes really irritates myself. Opening Day should be on the first Friday of May every year, period. That’s why I put other. I’m tired of the Month of May being downgraded to the “Week of May” as it has practically become, excluding 500 race weekend. Years later, probably mid 1980s, I was walking through the very crowded pit area with Ron McQueeney, then the IMS Director of Photography, and we were talking about the crowd and all the people who were just getting in the way, and the dangers that created. I don’t remember now which one of us said that the only thing that would get the “tourists” banished from the pits would be a disaster that resulted in serious injuries or death. We both agreed on that. Fortunately for everyone that has not happened – yet. I hate this decision. The fans look forward all year to the opening of the track and we want more time, not less. They continue to water down the “month” of May. What if it rains a couple of days? Not fair to Pippa and the other part-time entries. And it lessens the value of the bronze badge. I doubt it’s fair to place all that negativity on the Grand Prix. I feel it’s been one of my favorite races in every season since it’s been held at Indianapolis. They’ve got a very neat road course inside of the Brickyard since they changed a few corners of it which were different in the USGP years of the 2000s. It’s a much better circuit now than it was then. IndyCar should promote it as the prime roval in the country (or something similar to that) because it is, especially whilst they still have the time to do that this spring, as the new Charlotte roval circuit is going to host a NASCAR chase race in the fall. Still, I guess the Indianapolis Road Course will be preferred by most drivers because the Charlotte roval looks very much like the epitome of what drivers in the 70s and 80s would have called a “Mickey Mouse course”. I understand, though, that it can be impossible to attend on-track activity when you’re from outside of the Indy area if it takes place on a week day. However, maybe it’s just me, but I’d rather watch a race than practice anyway. Have to question how much of the cut on the amount of days the track has activity is a result of IMS and not money strapped teams asking IMS and IndyCar to tighten things up. In some ways, and not that I like it particularly, but maybe it makes sense to help ease financial burden of teams during May, especially the one-offs.